Drawing: elevation and plan of false door from W wall of G 2370. Retraced by Jordi Ensign in February 1992. Brovarski, Edward. The Senedjemib Complex, Part 1: The Mastabas of Senedjemib Inti (G 2370), Khnumenti (G 2374), and Senedjemib Mehi (G 2378). Giza Mastabas 7. Boston, Museum of Fine Arts, 2001, fig. 62b. 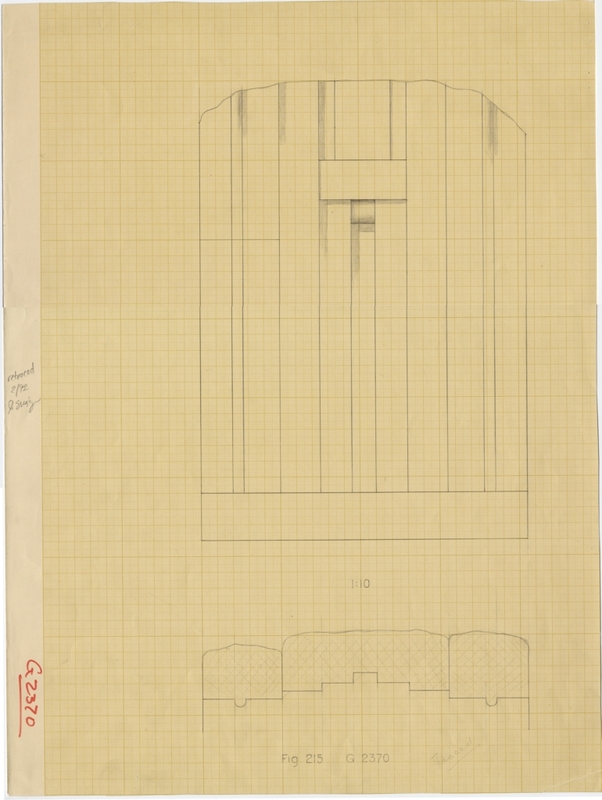 Description: Drawing: facade and horizontal section of false door from W wall of G 2370. Retraced by Jordi Ensign in February 1992.